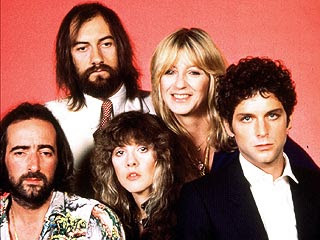 This week's "70s Saturday" showcases a group that owned the 70s - Fleetwood Mac. Originally a struggling British blues group experiencing moderate success, this incarnation with former duo Buckingham/Nicks (Lindsey and Stevie) took off into the stratosphere. So many Fleetwood Mac songs feature Stevie Nicks on vocals but You Make Lovin' Fun features the other woman of the group, Christine McVie. She also wrote the song which was the fourth single issued from 1977's immensely popular album Rumours. I loved that album, it was one of my very first and I felt SO grown up that i actually owned a record that wasn't consistently played only on AM radio --- 5 years later i discovered metal - but that's another story. I always loved Christine McVies voice. surveygirl46: I actually enjoyed FM before Lindsey/Buckingham. Kiln House was excellent.